Today I am going to review Lip balm from Lotus Herbals –Strawberry Lip Balm. Lotus Herbals is a famous brand in India whose products are herbal and natural . I have tried few products from this brand and they are good. 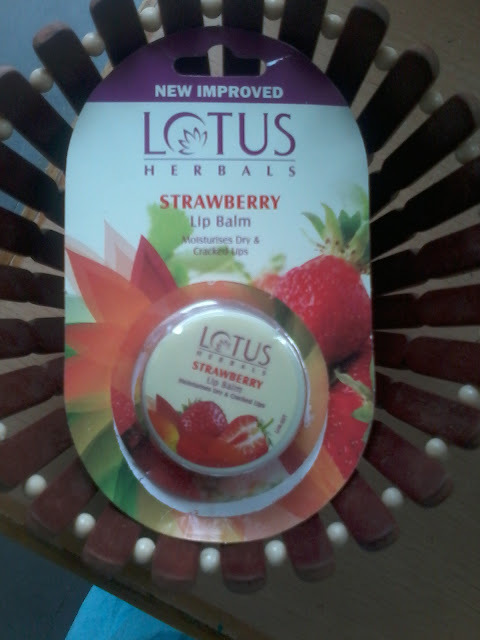 Lip balms from Lotus Herbals are available in various flavour , the one I am using right now is of Strawberry Flavour . The product Claims that this lip balm has highly active moisturiser formula which helps to repair cracked and chapped lips and makes them healthy and smooth . The product comes in a small tub , so it is recommended for individual use for hygiene purpose . 3 years from the date of manufacture . 1.An Ayurvedic product , so natural and does not contains any chemicals . 5.Makes the lips smooth and prevents chapping and drying of lips . 6.Makes the lips glow . 7.Contains UV filter so protects the lips from harmful UV rays and thus prevents darkening of lips. 8.Shelf life is good , product does not expires immediately . Tub Packaging is not too good . I am using this product past few days and its good . 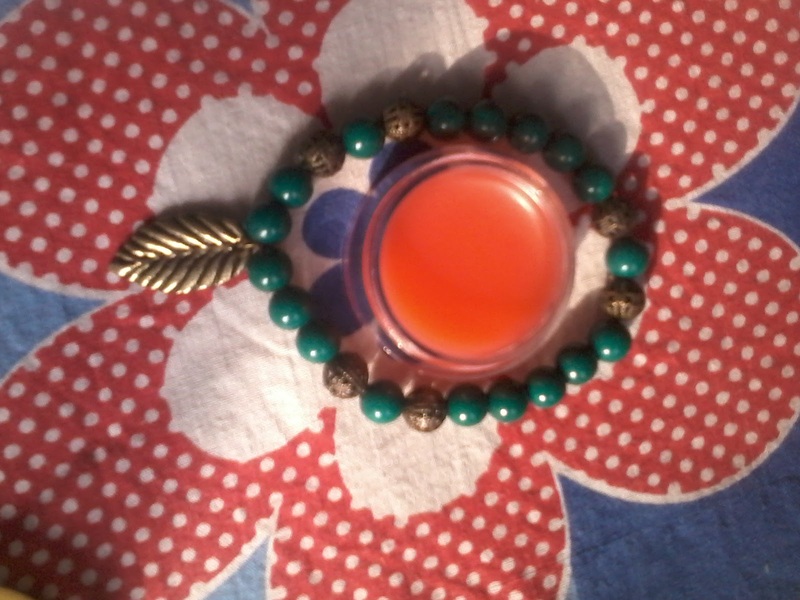 Its red colour lip balm which has a nice flavour and fragrance , keeps the lips moisturised for long period of time .